The SilentUP® Retractable Noise Barrier is designed to be easily installed and mobilized by people without using any mechanical equipment. It is installed upwards from ground level and the process is quiet for nighttime assembly. An automatic mechanism is incorporated to relieve excessive wind load on structure during occasional gusts in order to achieve the lightweight structure. Water barriers with extended supports are used as the base to ensure structural stability. SilentUP® is a patented retractable noise barrier for construction works and outdoor music events. It can be easily installed and mobilized by people without using any machines. No concrete foundation is required and the installation process is quiet enough to be conducted even at night time. The panels are installed upwards from ground level and connected by magnetic gap sealing. 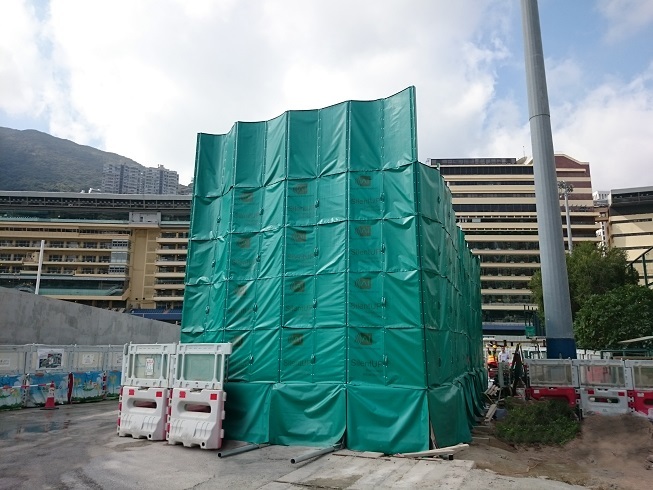 SilentUP® retractable noise barrier have already been implemented up to 7m high in Hong Kong major construction site (Railway construction projects of MTRC, public housing construction of HKHA, roadworks of WSD). 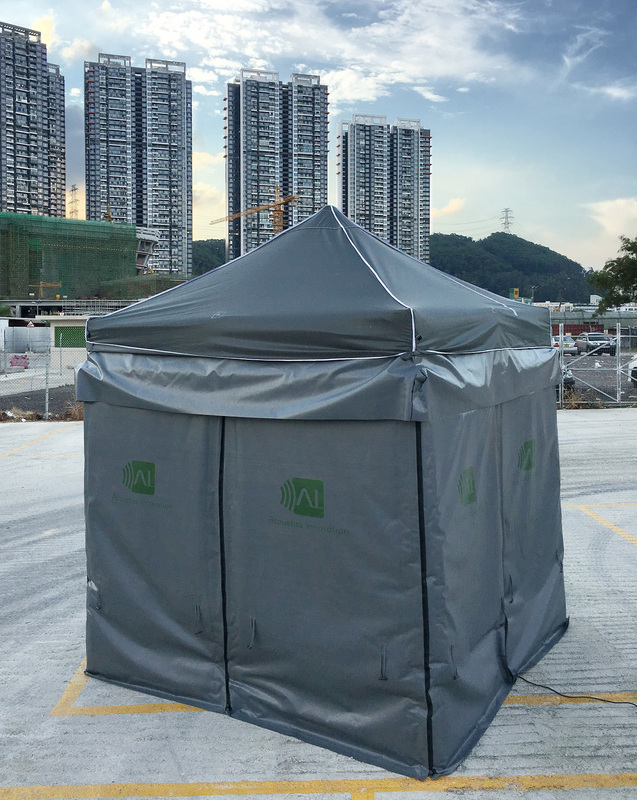 SilentCUBE is a retractable noise enclosure for road works, which provides 18 dB(A) white noise insertion loss and is therefore suitable for Prescribed Construction Work (PCW). SilentCube of 2.5m(H)x2.5m(W)x2.5m(L) is robust and can be easily transported by a trolley and installed within 15 mins by 4 people. All components are <15kg and the overall weight is <100kg, hence it can be conveniently relocated. SilentCube can be connected with another SilentCube without gaps to extend enclosure length.